• The traditional teaching experience: Yoga schools in India offer traditional teaching of yoga. This traditional teaching focuses on the spiritual union, controlling the senses, mindfulness, yoga, pranayama and most importantly, the Vedic expression i.e. the healing process of yoga. This is different from the modern yoga that is practiced in the local yoga studios or yoga centers. This makes the trip to India a necessity if you wish to study yoga. • Brings you closer to yogic lineage: If you think learning about physical exercises of yoga is enough, it is not. The way a tree can’t grow without its root; you can't grow if you will not read about the philosophy of yoga. This involves the reading of yoga sutras of Patanjali and other Vedas that talk about the study of yoga, its foundation, and techniques. All these bring you closer to yogic lineage. • Holistic program: Often yoga is called a holistic program because it enhances physical, mental, spiritual as well as emotional health. A holistic approach can only be followed if you receive experienced guidance. Experienced guidance not only helps you learn but also prepares you so that you can spread the same knowledge for the welfare of the human race. • Everyone is welcomed: It doesn’t matter whether you are an amateur, experienced or a professional at yoga; yoga teacher training in India welcomes everyone. While enrolling in the programs, your experience will be taken into account for appropriate learning. • A diversity of students: As yoga originated in India; it is the first choice of all the yogis who see their future in yoga. Every year people from around the world come to India to enrol either for yoga certification courses or yoga retreats, etc. Therefore, yoga schools in India have a diversity of students as they bring people from different countries under one roof. • Improves your moves: Yoga schools follow a disciplined schedule for yoga courses or during yoga teacher training in India. It not only allows you to learn new and core yoga poses and asanas but also to improves your ongoing practice for enhanced results. • Option for preferred destination: India is a country of diverse landforms and climate. Therefore, you may choose what type of climate or landform you want for your yoga practice. You may choose beaches, forests, caves, on the banks of the holy river and the highlighted Himalayan range. 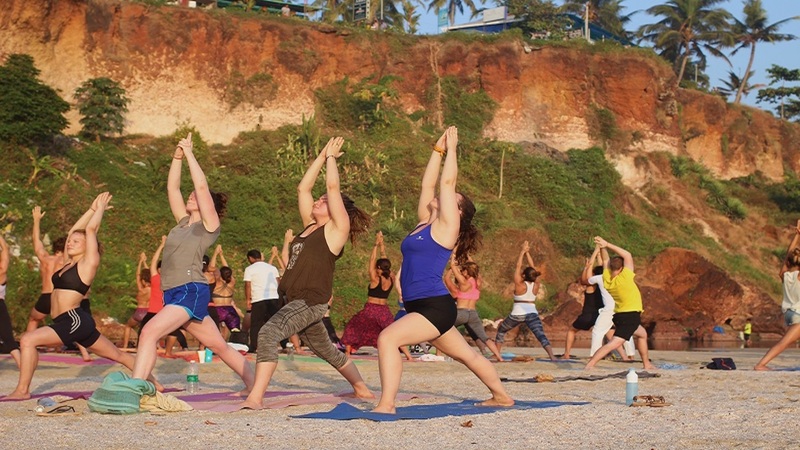 For instance, yoga teacher training in Rishikesh is offered near the banks of river Ganga or at the foothills of the Himalayas, yoga teacher training in Kerala can be done in the beaches, around the temples etc. • Pocket-friendly: Yoga courses, certifications, and even yoga teacher training are quite valuable in other countries. Whereas, when it comes to India you can find the core and authentic yoga practices at an economical price as compared to other countries. Moreover, yoga schools may include accommodation and meals too with the fee with no extra cost. Next time you plan for India, don’t just go for a yoga retreat but enrol for yoga teacher training in India for advanced yet traditional learning.